All our professionals at SMILES BY RK maintain the highest levels of accreditation and pursue ongoing education to stay abreast of the latest trends in dentistry. Dr. Klima has been serving the Carroll County community since 1990 with a dedication to achieve the highest standard of dental care currently possible, Advanced education is paramount and Dr. Klima has achieved the distinction of fellow ( FAGD ) in the Academy of General Dentistry. He is currently studying to achieve the level of master (MAGD). 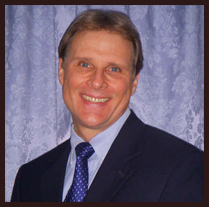 Dr. Klima is a member of the American Dental Association (ADA). Maryland State Dental Association (MSDA), Maryland Academy of General Dentistry (MAGD), United States Dental Institute (USDI), International Association Of Orthodontics ( IAO), American Orthodontic Society (AOS). He also participates with the Donated Dental Program, and The Maryland Foundation Of Dentistry for the Handicapped, which provides dental care to underprivileged and handicapped patients. As a dental student, Dr Klima was a co-founder of the Quest for Care Program which, to this day, provides funds for mentally, physically and financially handicapped individuals. Dr. Klima graduated with honors from the University Of Maryland College Of Dental Surgery where he won the award for Outstanding Senior Student, and completed a one year residency program in the clinic for Advanced General Dentistry. He also received advanced education in Neuromuscular/TMJ Treatment, Cosmetic Dentistry including Implants and Veneers, and most recently, Snoring/Sleep Apnea Treatment.